Someone once remarked that if you don’t care for the weather in Britain, then wait a minute and it will change. 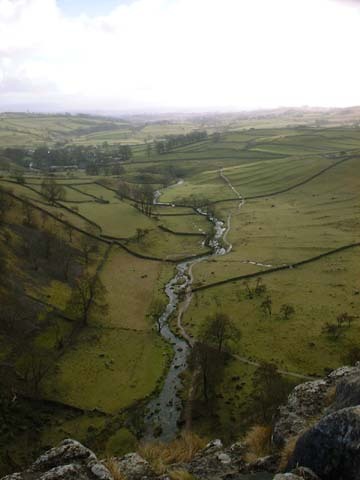 What is true above is also true below; the landscape of Britain changes with every mile traveled. Driving from anywhere you may wish to start, to any destination of your choosing, you will be forced to pass through countryside and over rock of greatly differing age and origin. 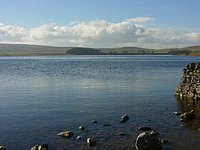 Sitting on the edge of tranquil Malham Tarn, in the Craven district of the Yorkshire Dales, you might be forgiven for thinking that the countryside rolls gently in all directions in similar fashion, as it undoubtedly would in a more unified, larger land area. In Britain, anything is possible. 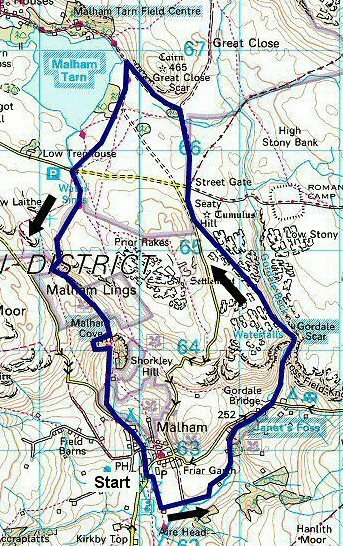 Walk due south from the tinkling stream leaving the Tarn and you will soon be made to be aware of the very opposite. 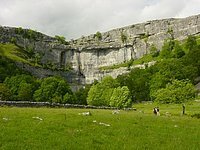 Just downstream, though paradoxically not the same stream that issues from its foot, is the mighty Malham Cove, hundreds of feet of sheer and often overhanging limestone. The stream that empties the Tarn reappears at the surface a distance down from the one trickling out at the foot of the Cove. 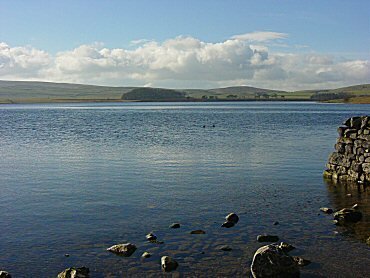 After its innocent course, the stream that drains the Tarn drains into what are known as ‘swallow holes’ marking the very edge of the Tarn’s supporting band of slate and Silurian clay. 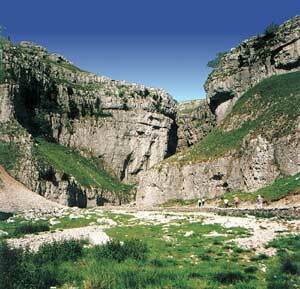 Carboniferous limestone, that most pervious and permeable of our native rocks begins where the clay and slate end. 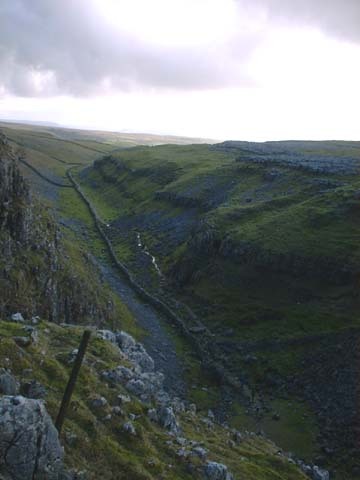 From now on, gorges, collapsed cave systems, dry valleys and ‘clints and grikes’ criss-cross the land; any gentility is lost to precipitous calcium carbonate and the result of the action of water upon it. Adjectives to describe the scenery change with it. Now, instead of using words like ‘gentle’, ‘rolling’, and ‘undulating’ we use words like ‘ragged’, ‘steep’, ‘craggy’, and ‘rough’. 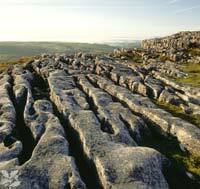 The clints and grikes I mentioned earlier are the eroded joints of the limestone, here called limestone pavement. 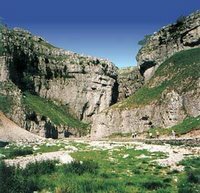 This is typical ‘Karst’ scenery; the word comes from the former Yugoslavia, where it was the name of a region of weathered and heavily eroded limestone. 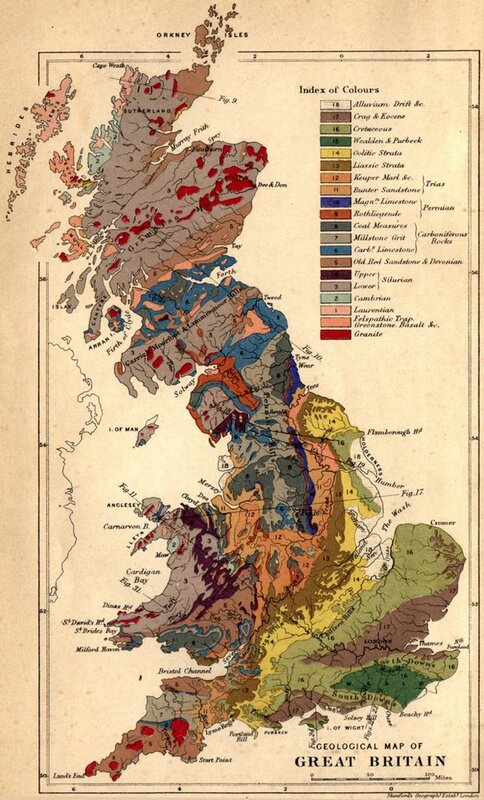 In the space of just a few miles, the ‘chalk and cheese’ of Britain’s geology is exemplified and illustrated. You don’t just need to have rainwear ready on fine days in England, but sturdy footwear too.